Century Cycles Blog: We are the Best of Cleveland! We are the Best of Cleveland! Everyone at Century Cycles is thrilled to see that once again -- for the FOURTH year in a row! 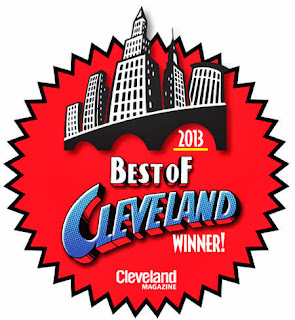 -- we have won the reader's pick of Best Bike Shop in Cleveland Magazine's annual Best of Cleveland issue! On Friday, October 11 at 7:00pm, we'll be celebrating with all the other "bests" at the Best of Cleveland Party at Public Hall. Thank you to our loyal customers and our dedicated staff for helping to make us the best! Click here for tickets and other information about the Best of Cleveland Party on Oct. 11. We hope to see you there! Happy Anniversary to the new Medina store! 2014 Giant Road Bikes have arrived! Nutcase Helmets: Love Your Brain for 20% Less! We are one of America's Best Bike Shops!